Millie is fed up with her relationship. She's been with James for four years and loves him, but his job is causing problems. James has been working in Zurich for months, with Millie visiting when she can at the weekends. The fancy hotels and restaurants were fun to begin with, but spending so much apart is taking its toll. So Millie is relieved when the Zurich project ends and James can return home. Until James drops the bombshell that he's been offered a promotion that will mean having to live in Singapore for a year - and he's already accepted. Millie can't cope with another separation, especially as she can't hop on a plane for a weekend visit this time, so she ends the relationship. Millie is devastated, but knows she has made the right decision. When she's offered a three month placement at her work's New York office, she jumps at the chance. A new city and the chance to catch up with her American friends, Kristen and Tara, will help her get over James. But Kristen and Tara aren't the only familiar faces in New York. Her ex-boyfriend and first love, Rob is there too. 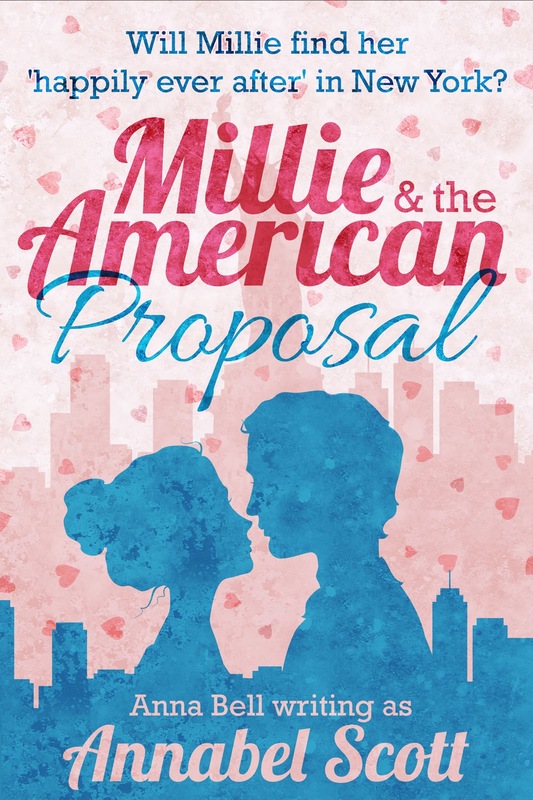 Millie and The American Proposal is the third book in the 'Millie' series and I was looking forward to catching up with Millie and her friends. Plus, the fact that the book is set mainly in New York was an added bonus! I really like the character of Millie. She's so down to earth and likeable and I could understand why she ended her relationship with James and could feel her disappointment when he announced he was moving to Singapore. After enduring his time away in Zurich, Millie is looking forward to having him home again. She wants to settle down and get married while James wants to concentrate of furthering his career. James isn't a bad person, but he does seem to put his job before Millie quite a lot. Millie has some pretty wild friends, who return in this book, but there are some new characters to get to know too. I loved the scenes where Millie goes out with her friends, especially the karaoke bar scene.